In New Jersey and New York City! Members of Teaneck NJ's Black Box Rep Company play over 40 characters in a staged reading of this epic comic drama about one woman's challenges with the men in her life over a 20+ year period. 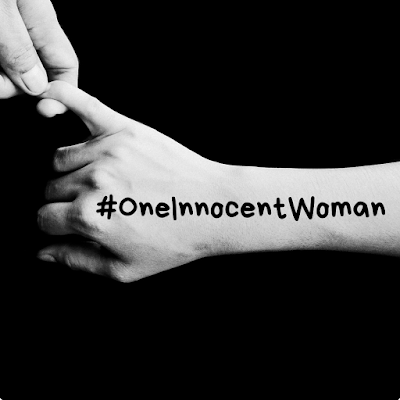 Originally developed in 2004, #OneInnocentWoman has been re-examined for the #MeToo generation. There will be a talk back following the reading on Sunday April 14 at 7pm in Teaneck, NJ at the Black Box Performing Arts Center. The play will also have its first New York reading on Monday April 15 at 7pm at the PIT Underground. Tickets are $10 for the reading on Sunday at Black Box PAC (200 Walraven Drive, Teaneck, NJ) and $15 for the reading on Monday at the PIT Underground (123 E 24th St, New York, NY). Please visit www.BlackBoxPAC.com for information on purchasing tickets for either date/location.